Get ready to be engaged in a very personalized interactive music video experience featuring e-mails from your boss, gossips between your friends and texts messages from MNDR addressed to you! 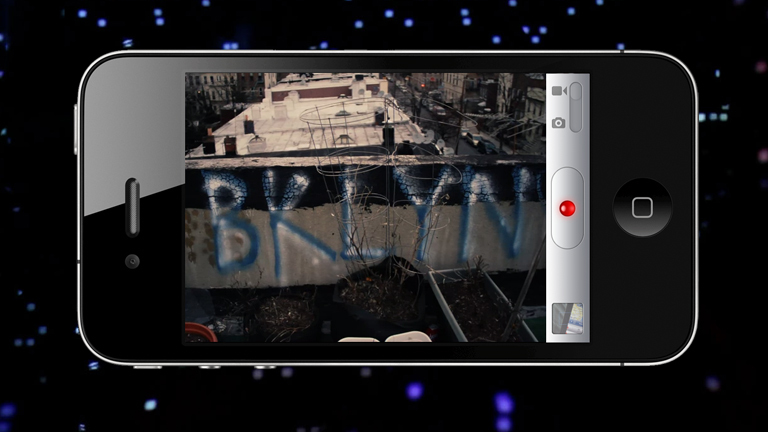 “C.L.U.B” tells the story of a spontaneous trip to New York and your subsequent rise to fame, all being viewed through an iPhone interface. After connecting to Facebook, you will get to see some of your profile information along with names, updates and photos of your friends, integrated in a fun way into the storyline. The cherry on top: your picture will appear on posters of MNDR’s future concerts, in tabloids and even on the nominees’ list for MTV awards. Quite cool this “5 minutes of fame” illusion! The video directed by fourclops::) premiered during the 2012 O Music Awards and was developed in HTML5.